Blessed Birth is privileged to partner with Tucson Bump2Baby to provide continuity of care for your growing family. From birth doula services, lactation support, and postpartum support, we offer a variety of services to meet your needs. 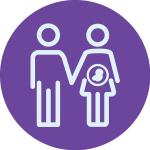 We also have trusted community partners to provide additional services to address all your pregnancy and postpartum concerns. Shannon Cheeseman at Blessed Birth, LLC is a professionally trained and certified birth doula who provides unbiased support through pregnancy, labor and birth as an integral part of your caregiving team. Ceit Blue at Aveta Lactation, LLC is an International Board Certified Lactation Consultant and Certified Childbirth Educator who is able to teach breastfeeding and childbirth classes in your home, on your schedule. 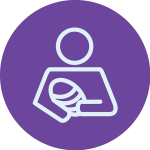 As a lactation consultant, Ceit can help alleviate any breastfeeding issues to get you and your baby the best possible start together. Colleen Lasakovits at Your Family’s Journey is a Registered Nurse and Certified Postpartum Doula. Colleen offers customized postpartum support services for your physical recovery, emotional needs, feeding preferences, education & information about newborn care, relationship changes, sibling adjustment, home safety, and so much more.